The rise of e-commerce and lately m-commerce, and the ongoing digitization have a significant impact on traditional high street retailers, who often are not able to match the prices, variety of products, and services provided online. To prevent the looming decline of high streets, retailers need to catch up and start to engage the new digital customer. This article illuminates the interplay of diverse, digital interfaces, resources and actors in the co-creation of value in high street retail. Alliances and a digital platform ecosystem are presented as forms of cooperation, where retailers join forces to provide digital touchpoints and boundary-spanning service to the customer, and also actively use customer-generated data to improve their service and strengthen the overall attractiveness of their high streets. We tell a tale of two cities—Burnsley and Beckinsdale—set in the not so distant future, where retailers have taken very different approaches to respond to the digital age. This essay was developed in the research project smartmarket2, which is funded by the German Federal Ministry of Education and Research (BMBF), promotion sign 02K15A074. 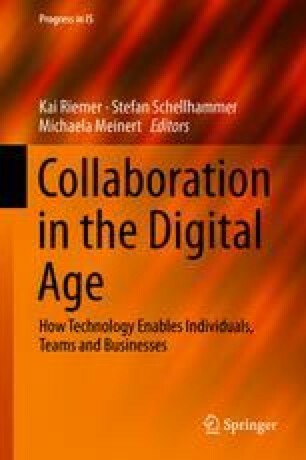 The authors thank the Project Management Agency Karlsruhe (PTKA). BBSR. (2017). Online-Handel – Mögliche räumliche Auswirkungen auf Innenstädte, Stadtteil- und Ortszentren. Tech. rep., Bundesinstitut für Bau- Stadt- und Raumforschung (BBSR) im Bundesamt für Bauwesen und Raumordnung (BBR), Bonn, Germany. http://www.bbsr.bund.de/BBSR/DE/Home/Topthemen/2017-online-handel.html. HDE. (2017). Umsatz im Einzelhandel im engeren Sinne in Deutschland in den Jahren 2000 bis 2017 (in Milliarden Euro). Retrieved March 13, 2018, from https://de.statista.com/statistik/daten/studie/70190/umfrage/umsatz-im-deutschen-einzelhandel-zeitreihe/. Murray, C. (2016). Real-time data drives the future of retail stores. Tech. rep., Forrester Research. Retrieved March 13, 2018, from https://retailnext.net/en/benchmark/real-time-data-drives-the-future-of-retail/.